As has happened on similar ocasions in the past, meteorites and memorabilia of the event quickly found a market. Within days after the fall, pieces of broken glass from Chelyabinsk were offered on local sales platforms via the internet. Few if any of these samples were accompanied by documentation deserving the name. Like in past meteorite falls, these artifacts were treated as mere curiosities and changed hands without any recording of their original context — destined to reenter insignificance once the oral history linked to them is lost. 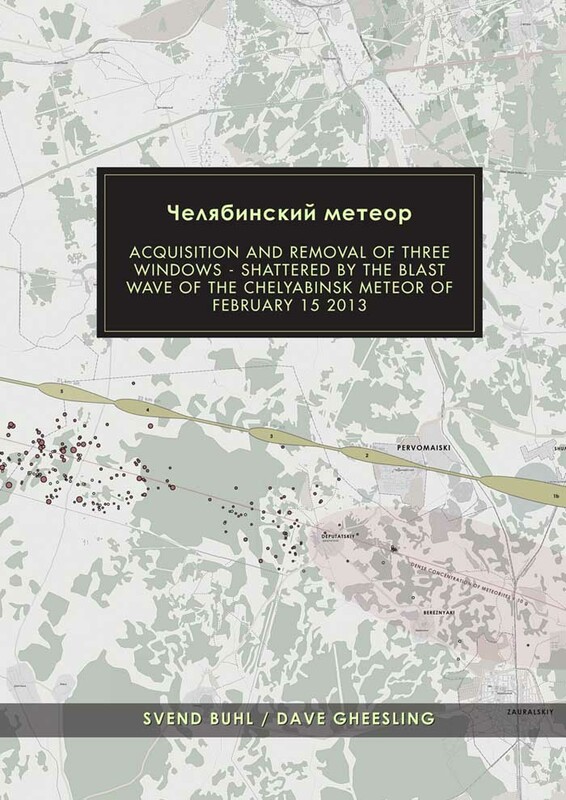 Given the historical significance of the Chelyabinsk event, and in light of the proceeding damage repair and reinstatement work, a plan was made to salvage meaningful artifacts bearing witness to the destruction caused by the meteor’s shockwave. The objective was to document and to preserve these artifacts for future generations. For this purpose, one month after the event, in mid March, an operation was commenced in the course of which three windows shattered by the blast wave were located and recovered from the damage area. These three broken windows, removed from a wooden dwelling in the hamlet of Baturinsky Razrez in Yemanzhelinsk, remain to date the only larger objects altered by the sonic blast wave that were removed for preservation from the damage zone.